Probashbangla24 online Desk : Myanmar is yet to create conducive environment for safe and dignified return of Rohingyas forcibly displaced from its Rakhine State who took shelter in Bangladesh, a UN assessment indicates. ‘The Myanmar government’s leadership in the implementation of this agreement is critical to creating conditions conducive for the voluntary, safe, dignified, and sustainable return of Rohingya refugees,’ saidUNHCR spokesperson Andrej Mahecic. 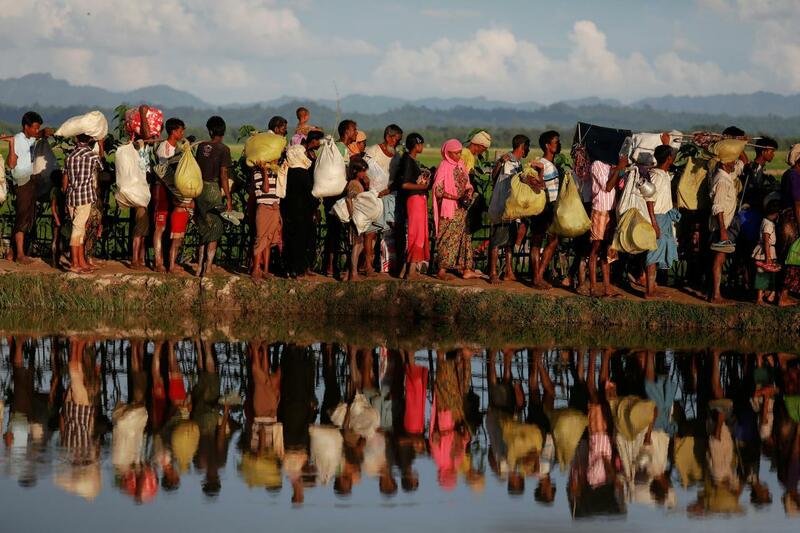 UNHCR and UNDP completed first assessments in Myanmar’s northern Rakhine, according UNHCR. UNHCR, the UN refugee agency, and UNDP, the UN development agency, carried out in September initial assessments in 23 villages and three village tracts in Myanmar’s Rakhine State. It had been more than a year since UNHCR had been able to engage with affected communities in the northern areas of Rakhine State, following the flight of more than 720,000 Rohingya refugees to neighbouring Bangladesh in 2017. In the course of these initial assessments in Rakhine UNHCR and UNDP noted the efforts of authorities to facilitate these first steps, though they were limited in scope and in the locations visited. ‘While they do not allow for broader conclusions, the field visits have given UNHCR and UNDP an initial understanding of the challenges facing those living there,’ said the Spokesperson on the assessment report on October 5. ‘Our teams assessed immediate community needs and priorities for our short-term actions. The rapid assessments also help to identify community initiatives that could support Government’s efforts to improve the lives of all affected populations, build trust and promote social cohesion among all communities,’Andrej Mahecic said. Over the past weeks the teams observed the serious effects. These include those on the local economy and diminishing livelihoods, significantly increasing the vulnerabilities of all communities remaining in Rakhine. Communities also spoke of the cumulative effect of restrictions on movements, further shrinking their access to livelihood and basic services, according to the assessment report. While some self-restrict their movement for real or perceived sense of insecurity or fear of neighbouring communities, others – particularly the Muslim communities — are not allowed to move freely. ‘Fear and mistrust, has an impact on access to education, health and other basic services. It also limits interactions between communities, hindering prospects for confidence-building and social cohesion,’ said UNHCR Spokesperson. The communities the team members visited frequently spoke of challenges in getting to health services as well as restrictions on the Muslim population in accessing education. Mistrust, fear of neighbouring communities and a sense of insecurity are prevalent in many areas. Communities often live in isolation, lowering the prospects for contacts, mutual understanding and inter-communal cohesion. This is notable for relations between the Muslim community and other communities. Assessment teams also observed that some communities, particularly those living in close proximity to each other, have maintained or restarted interactions. ‘Encouragingly, most of those we spoke to expressed hope for peace in Rakhine and a number of them indicated willingness to incrementally strengthen or restore relations,’ saidAndrej Mahecic. Building confidence and improving conditions among remaining communities will be essential to bring people together, to alleviate poverty, and to address health and education disparities alongside making tangible progress to address root causes, said the official. All the communities visited welcomed the assessment teams and were eager to engage with them and to discuss their issues. There were no signs of animosity. As of Friday morning UNHCR and UNDP teams are starting a second phase of assessments in the townships of Maungdaw, Buthidaung and Rathedaung based on travel authorisations received in the past 24 hours. reports the UNB.